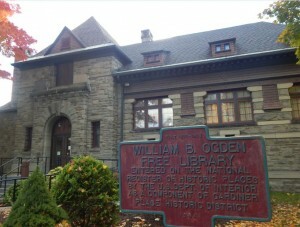 The library is named after William B. Ogden. 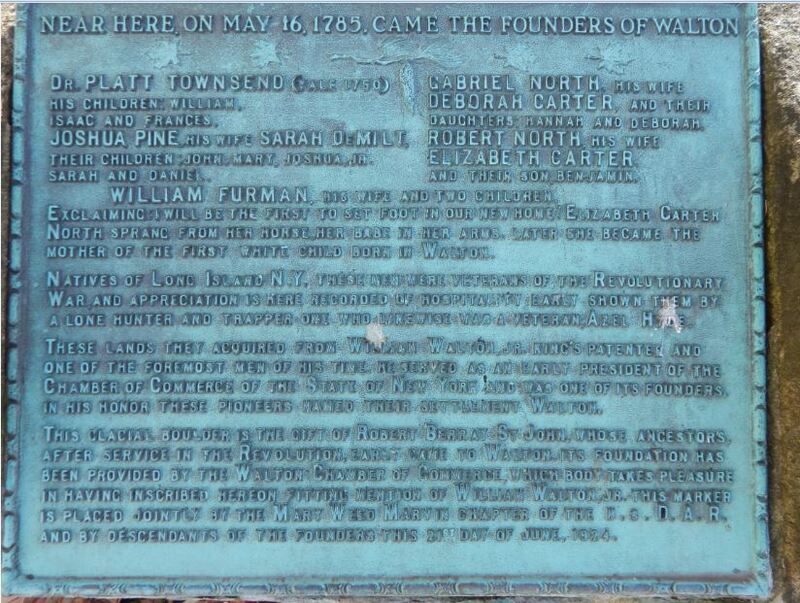 He was born here in Walton in 1805. Mr. Ogden grew up in Walton and worked as a postmaster. Later he traveled west and helped establish the city of Chicago, Illinois. He actually served as the city’s first mayor. When William. B. Ogden died in 1877, he left some money to his hometown. Mr. William Wheeler, one of the trustees of the Mr. Ogden’s estate, traveled to Walton in 1892 and talked to different people in the community about the best way to use the money. They suggested that a library be built. So, it was built. Some native bluestone was taken from the stone quarries in Marvin Hollow and on Shepard Hill, at a cost of $13,500. Construction began in 1896 and was completed in 1897. 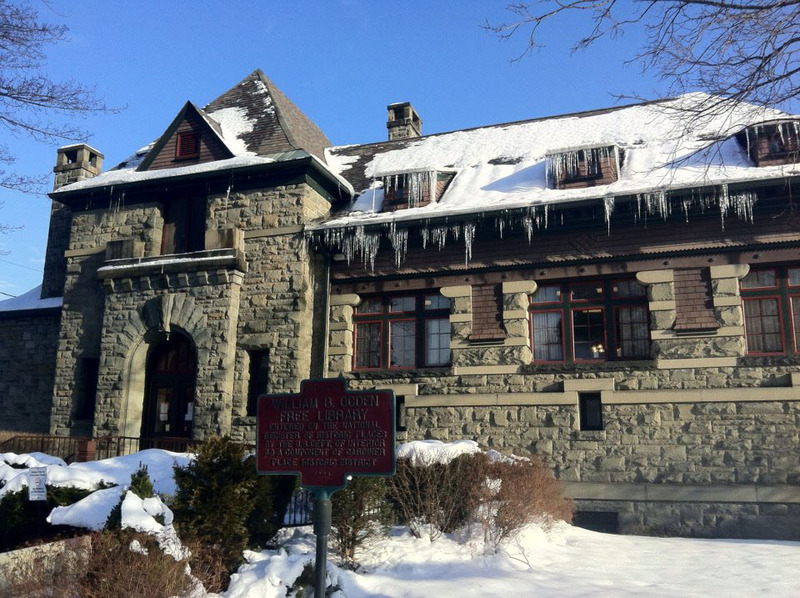 The library was designed by the firm, Morris and Walker of New York City, and was built by Alexander Carman of Binghamton. The library first opened on January 29, 1899. 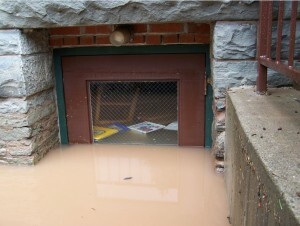 In 2006, the library was hit hard by flooding from the Delaware River. The flooding destroyed over 12,000 books. Fortunately, with a great deal of help from the community, the library was able to recover and now uses the basement level for children’s programs and community activities. 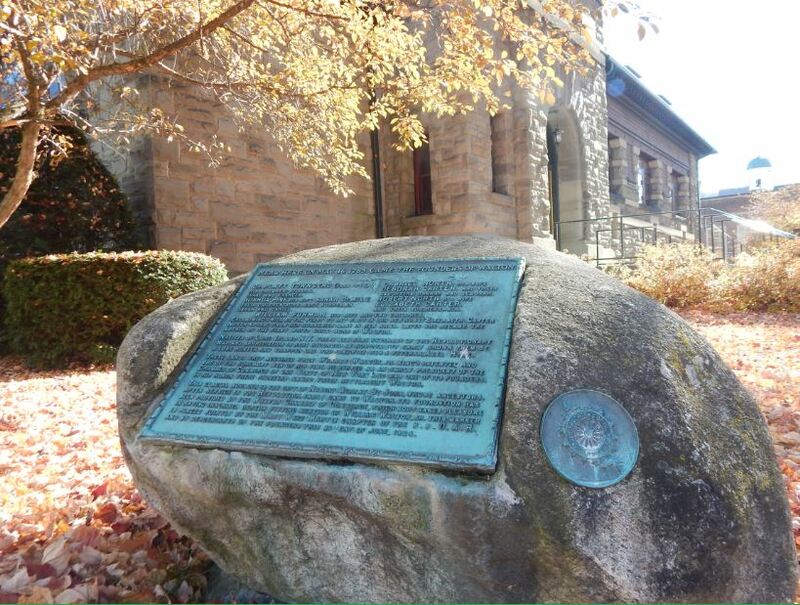 Have you looked at this glacial boulder on the Mead Street side? 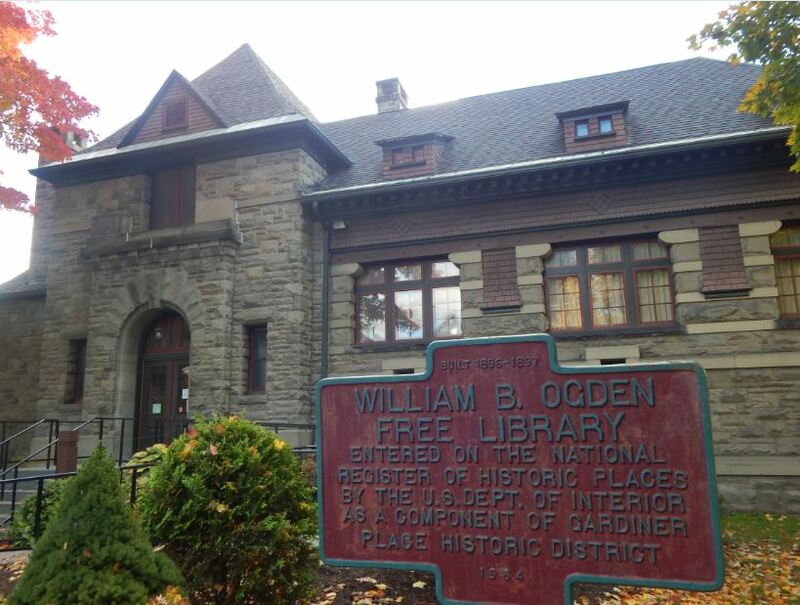 In 1984 the William B. Ogden Free Library was listed in the National Register of Historic Places. Have you seen this bell on the main floor? 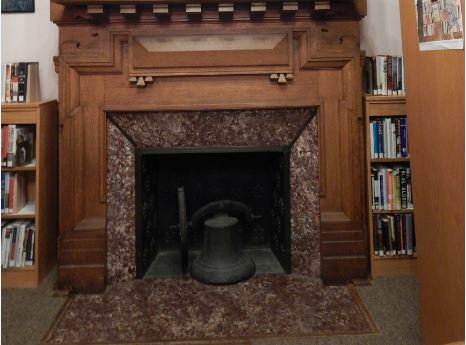 It is from a two-room schoolhouse that was on the library’s land before the library was built. From 1806-1838. One teacher had charge of 80-100 pupils of all ages, and instructed them for $12 a month. The school was eventually moved to Delaware Street, where the Big M parking lot is now. Do you want more local history? See what other history resources you can find in the library.